Zephaniah Free Education. Rising the status of women through education and empowerment. 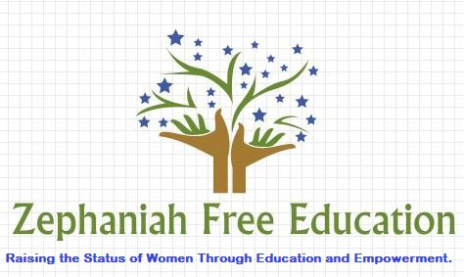 Zephaniah Free Education has been improving the status of women in rural Pakistan through Education and Empowerment for 17 years. It was founded by Sister Zeph when she was just a 13 year old girl. She made the decision to leave her school in the seventh grade because her teacher humiliated her for sitting on the teacher’s chair. From then on, she decided that she would never go to that school again but would start her own school, where there was respect for students. So, she started teaching another girl in the open air at her home’s courtyard on August 1, 1997. As she started teaching more girls, she came to notice that the girls’ lives were very difficult. They had no life of their own and were considered men’s property. They had no right to education, paid work, or choice of life partner. They were also being killed for so called honor. They are mothers, sisters, wives and daughters, but they are not being considered as human beings; They have no recognition as individuals. With this realisation, Sister Zeph decided to focus on girls’ education. Until now, Zephaniah Free Education has taught over five hundred girl , and more than one hundred women have learnt skills such as stitching, bridal make up, party make up, hair dressing and embroidery in addition to getting standard education. Sister Zeph has been maintaining a full time job to meet the expenses of Zephaniah Free Education since the age of 16. She has also achieved two Master Degrees, one in Political Science and one in the History, through self-study. Sister Zeph says that she will never stop promoting and supporting girls education and empowerment because this is the only way to change the world and to bring a new life to the women of our world. This is Written by the founder of Zephaniah Free Education, a young woman who started her own school at age 13. When I was younger, I was a very naughty girl. As i grew older, I became a leader in school and wanted to be a lawyer and wrote my first article on women’s rights at the age 13 in a very famous newspaper called daily Jung of Pakistan. I was a dreamer and wanted to fly real high. My lifestyle was an unconventional one; I always wanted to explore what was different. My mother, like every mother in my country, used to tell me that one day I would get married. But I kept thinking that no, God sent me to this world more than just to get married. My heart always told me so. One incident changed my life forever. I left my school in 7th grade, and decided never go back to that school again. I felt so humiliated I cried for days. I did not see anyone for days and I felt like my heart was dying inside me. One day, I was delivering a speech to my class, acting like a teacher, standing on the teacher’s chair. When she came she started beating me for this in front of my classmates. She abused me and all the girls made fun of me. I was just crying and crying, I was hurt mentally and psychologically. I decided to surprise them all. I decided to do something that nobody expected. At that moment I decided to leave school. All at once, my life changed, and all dreams were over. My parents tried to force me to join other schools but I couldn’t bring myself to. However, i refused to stop studying. I started reading in my home and never took any tuition. I also decided to teach girls with the respect, love and care that I was not given in school. When I volunteered, I started making home visits in my village. I made pamphlets to distribute among people. I told everyone that it will be free education; I walked even further, and went to tell about what happened in my school in the nearby villages to convince the people to send their girls to my school. I told them that I would teach them English for free. I started visiting people with my mother on every Sunday, but no one was ready. No one trusted me and wanted to join my school because I was just 13 years old. But I kept going, I did not want any child to experience what I went through. I had decided never to use a stick in my school, and that I would make education interesting for the children. In beginning there was only one student. In summer we sit under the sun, in winter we sit under blankets. And when it rains we have to stop studying because there was no building, not even one room. There was no pen or no copy machine. I only had a few books. The sky became our roof. At age sixteen I acquired my matriculation and started working as a receptionist in a telecom company, where I was being paid $15 a month. I used it to buy stationary and other important things for my school. Since then, I have done my masters in Political science in 2010, and now, another Masters in History. I have attained all these without any institution or teacher. Till now, I have taught about 500 girls and about 200 hundred girls have been empowered. I have rented a small house and have paid teachers for our Stitching Center, beauty salon and Training Center. I teach the students at English Language Center. Apart from managing the Zephaniah Free Education page, I also holding a job as an Admin in the World Wide women‘s community page and write articles for a few websites on the issues women are facing in my part of the world. Besides those responsibilities, I am studying journalism from the World Pulse and World Wide Women. I also produce theatrical info-dramas in my community to give them messages of peace and respect for women, and importance of education. My team is my family, and my coworkers in my office always give me moral support to carry on. My very kind and loving friends on Facebook also give me opportunities to explore my ideas. In my part of the world, we need to work on improving education. It is just the beginning of my work I have done so far. Here in my part of the world, women have to suffer all their life, they are being tortured mentally and physically and are not being given education. They are not empowered. Child marriage and honor killing need to be put to an end. When I look at the condition and helplessness of the women, it gives me the spirit to go on and never stop. There is only one solution to all our problems, and that is education and awareness of womens’ rights. I want every girl to be educated, empowered and protected, and for this I will keep fighting.